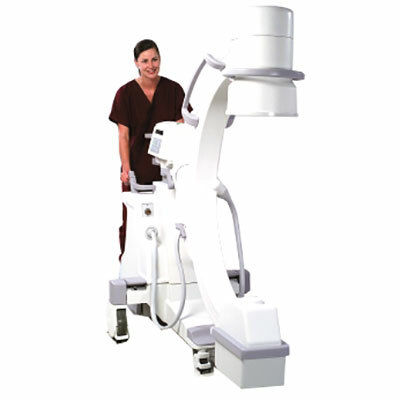 Flexible in every way, the GE OEC FlexiView 8800 is a mobile fluoroscopy system that is economical and has been proven to have low, long-term operating costs. Flexible – as it was designed for ease of movement and transportation; so you can take it where you need it, be it the inpatient or the outpatient setting. It covers most conventional intraoperative imaging needs, offering 1k x 1k 16-bit image processing and a full-frame CCD camera. Its digital capabilities include AutoTrak control, which follows the movement of anatomical structures to keep images sharp. It also has real-time edge enhancement and digital zoom and roams. 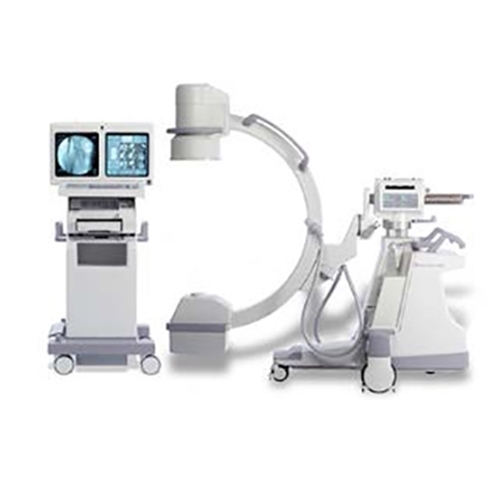 The OEC FlexiView 8800 is flexible because it can be expanded to have road mapping and subtraction capabilities; good for vascular and interventional procedures. An optional onboard instant film and paper printer with the quality of a laser camera hard copy can produce instant copies – no more waiting for the film to return from the darkroom. Images can be saved to removable storage media or transferred through a DICOM connection. It is flexible because it works with you. It has 45-degree overscan capability, and it can be operated via the touchscreen workstation, hand-held remote control, or foot pedal. 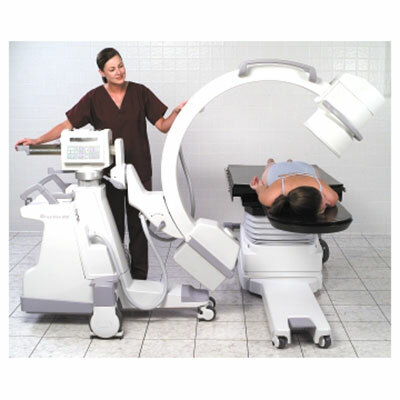 Simply select the imaging mode, press the x-ray exposure switch, and the machine will choose the imaging parameters necessary for the best possible image. Continuously adjustable to an area less than 5 cm x 5 cm, measured at the image receptor plane (II input surface). Anode Maximum Cooling Rate: 37,000 HU/minute. Housing Cooling Rate: 16,000 HU/minute.